This little boy is already so, so loved. Baby Frankie (named after his father) arrived on a chilly winter day, and his big sisters rushed to the hospital to shower him in kisses and to visit with mom and dad. 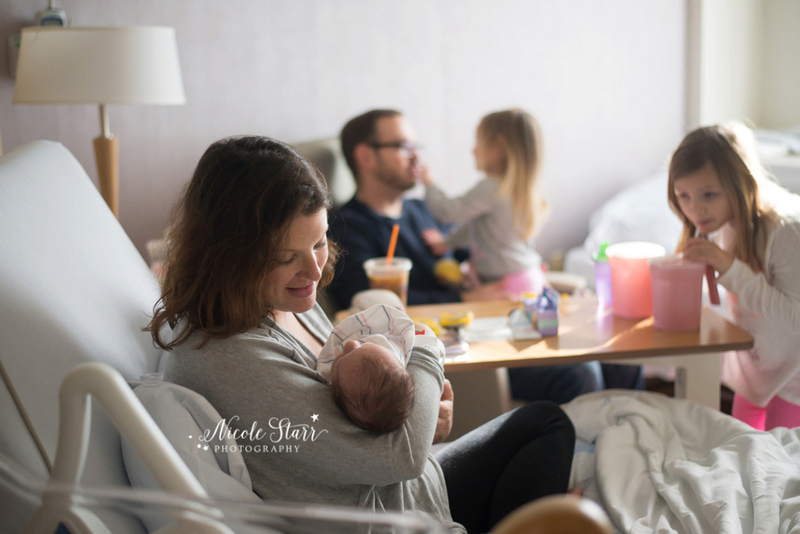 Although their postpartum room in the hospital was bustling with activity, there was an intense calm that surrounded the family as they "oooohh-ed" and "aaaahh-ed" over their newest addition while the most magical light came streaming through the windows. I just love the LOVE captured in these moments. The way the new mom watches her oldest daughter while she meets her baby brother? Oh my goodness, it melts my heart! This has got to be one of my favorite stories I have ever captured on camera. It is such an amazing moment, welcoming a new baby and slowing it all down to meet your new little brother. You've waited a very long time for this moment, and it is truly magical to hold that little boy in your arms and know that he is all yours. It took Little Sister a little while to warm up to the new baby, but surrounded by the ones that love her the most, she was definitely intrigued enough to cozy up close and meet this new member of her family. Watching this family of 5 bask in the happiness and love that comes with their baby's arrival was truly magical. They are just the sweetest and I had such a wonderful time getting to know them as they celebrated this huge milestone in their family's story. Thank you so much, B family, for inviting me into your lives to capture this story for you. You will truly treasure these moments for the rest of your lives. 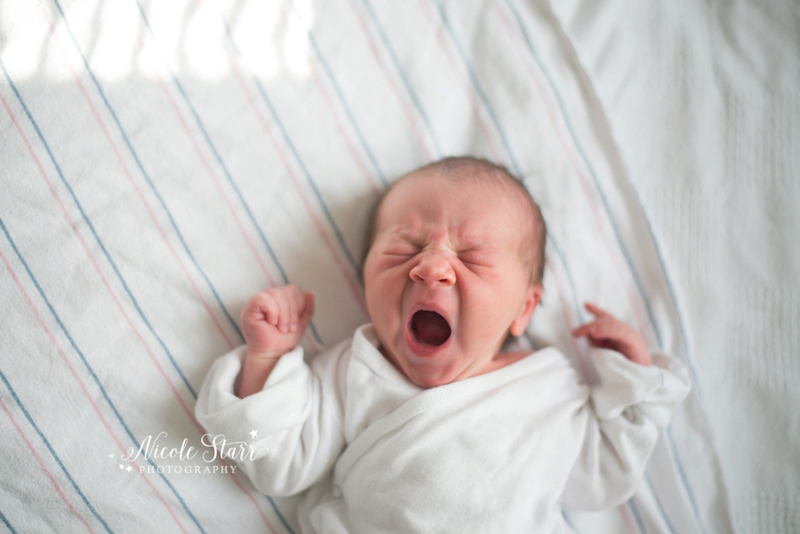 And of course, tiny baby yawns and teeny baby toes are my favorite details to capture. 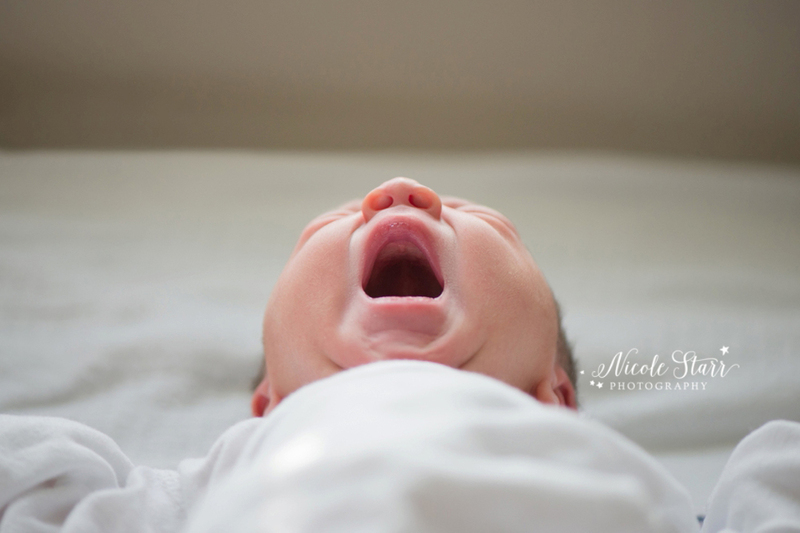 Baby Frankie was no exception, and he makes yawns and toes look oh-so-adorable. Such a sweetheart!